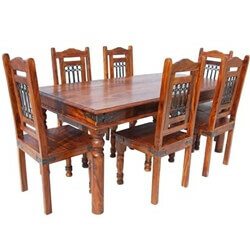 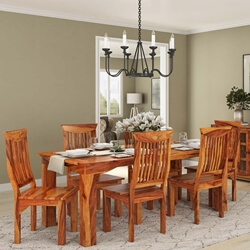 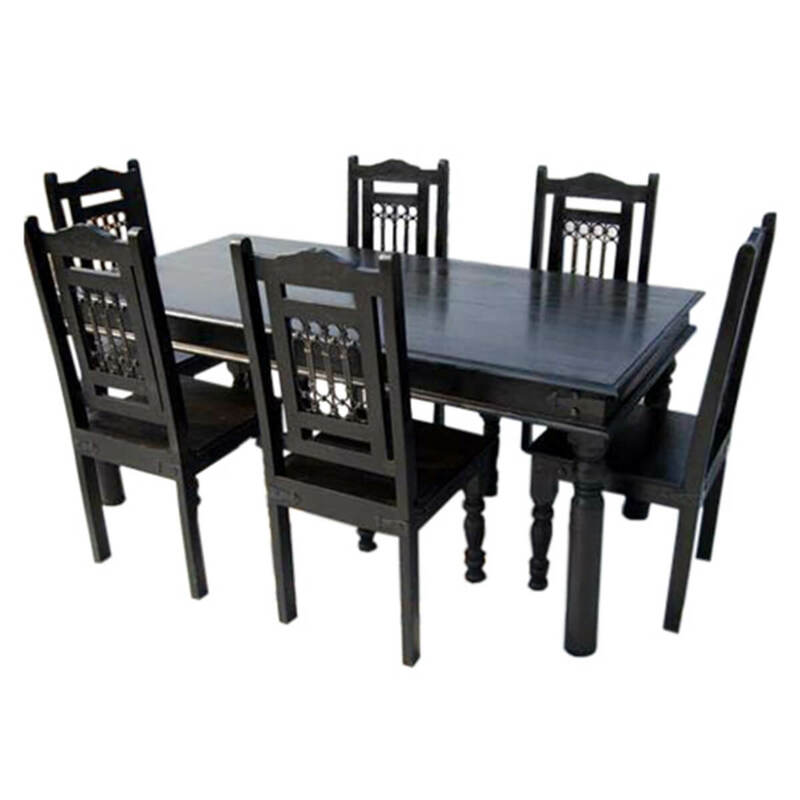 Bring home the romance of Robin Hood and British castles with the Nottingham Ebony 7 Piece Dining Room Table Chair Set. 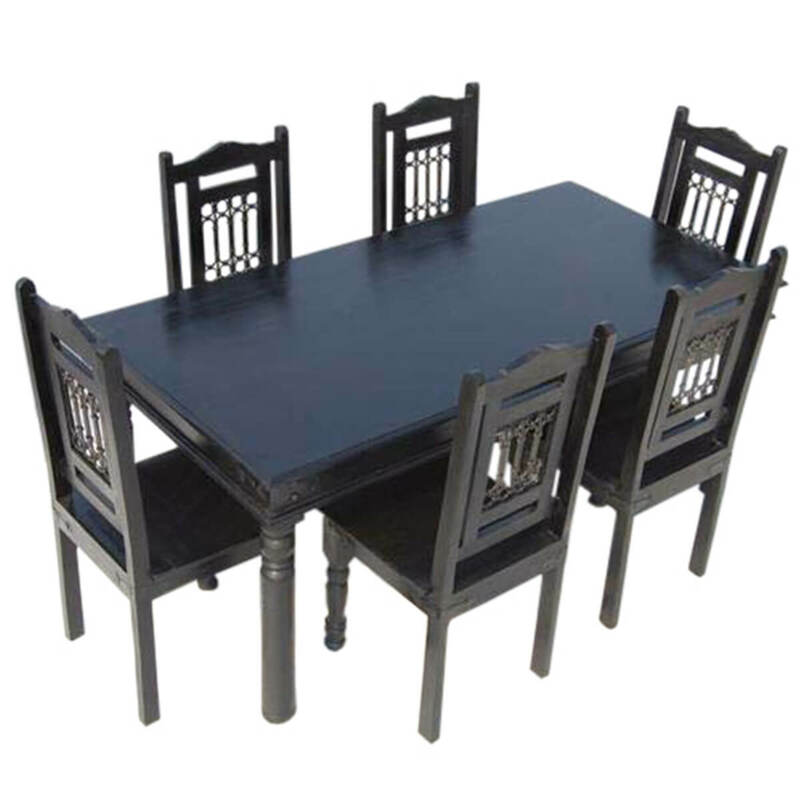 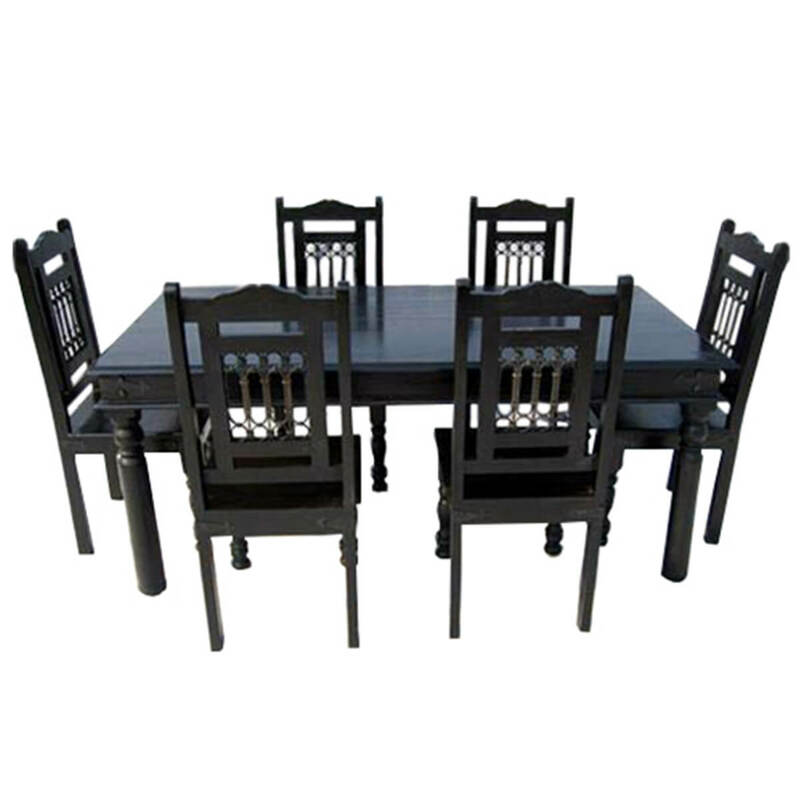 This ebony stained dining set mixes intricate chair backs with simple table design. 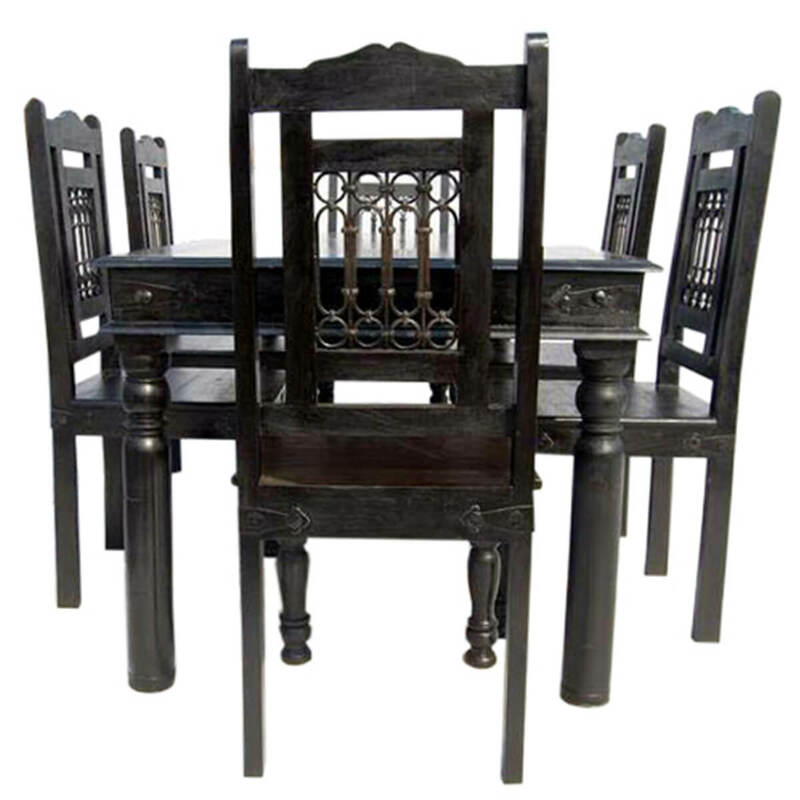 • Intricate hand carved grill work on high back chairs. 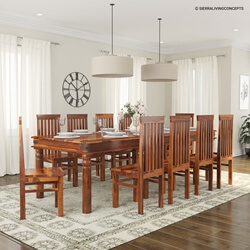 • Note classic style hinge dining table corners. 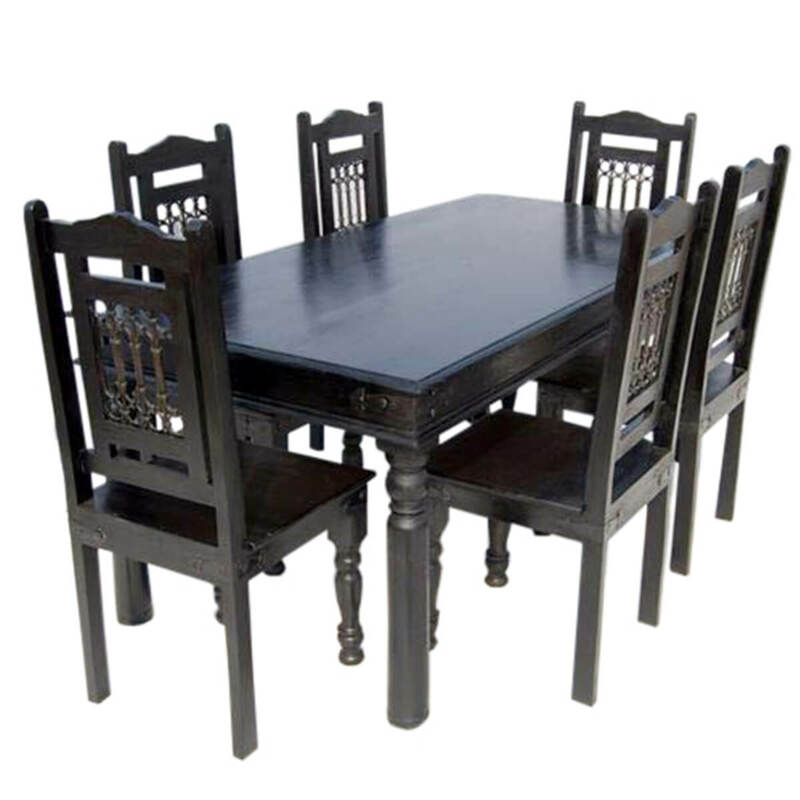 • Ebony stain applied by hand so wood grain can be seen. 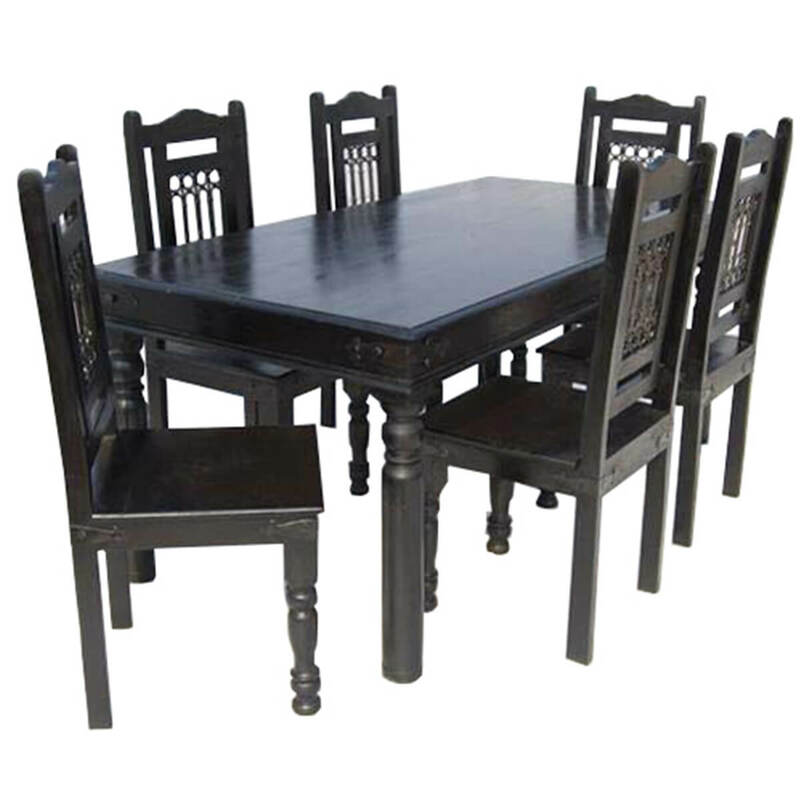 • Classic turned column table and dining chair legs. 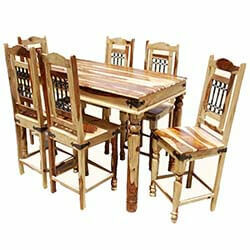 This substantial furniture set unites long lasting quality with elegance.